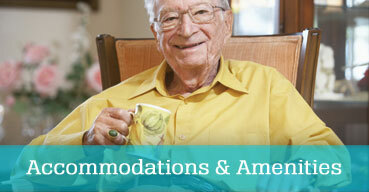 Amenities – Enjoy the comforts of home. Crossroads Care Center’s beautiful and comfortable environment, coupled with its unparalleled clinical care, make it the clear choice for your rehabilitative and/or nursing needs. Infused with elegance and warmth, our rooms are inviting for both residents and their guests. 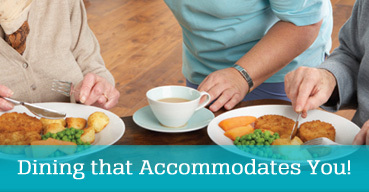 Our devoted staff, along with our welcoming environment, make residents feel comfortable in a place they can temporarily call home. The dining experience at Crossroads Care Center is a culinary treat. In conjunction with a dietitian, our talented chef prepares fresh nutritious meals that are appetizing and satisfies even the most demanding tastes. 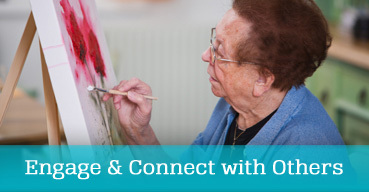 At Crossroads Care Centers, our activities are specifically designed to stimulate the body and the mind. Every day is filled with a broad range of stimulating activities intended to encourage social interaction and shared interests.